I think perhaps one of the reasons the beach has such draw is the ever changing landscape. 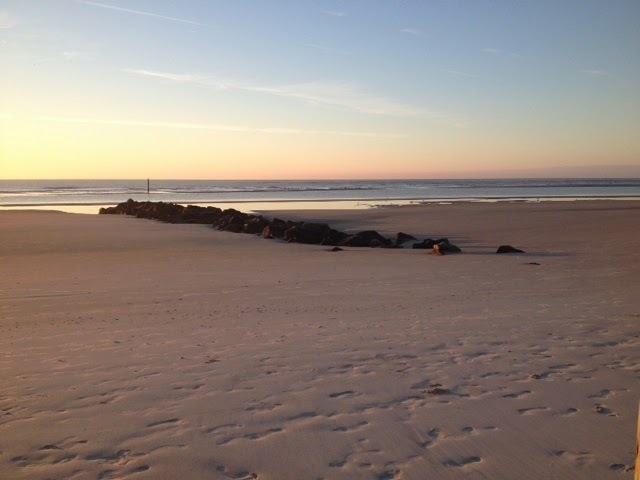 We've been visiting this beach for 11 years and we know this 2 mile stretch by heart. Yet, it always looks new and exciting. This particular stretch is simply magical. 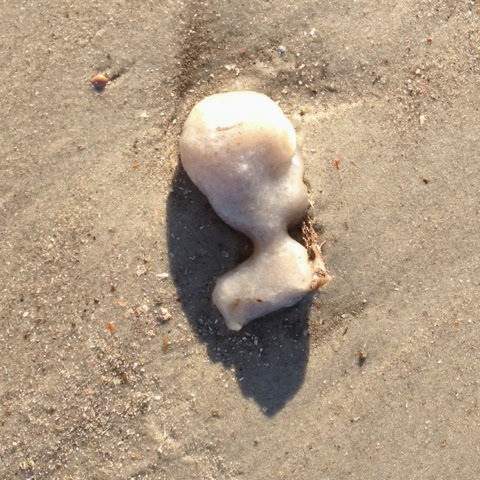 Look at it at low tide. Check out the post in the far distance and the jetty in the foreground. 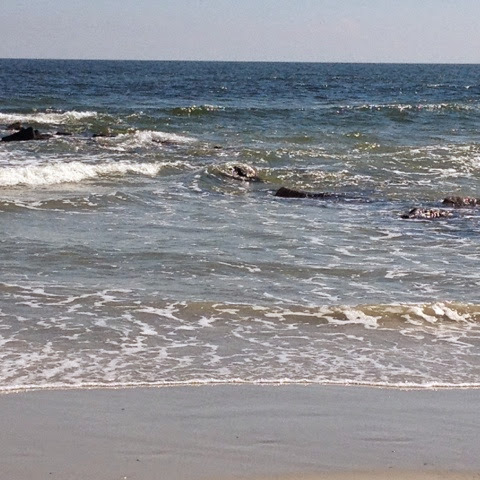 This picture is taken in the same exact location during high tide. The post is under ten feet of water. 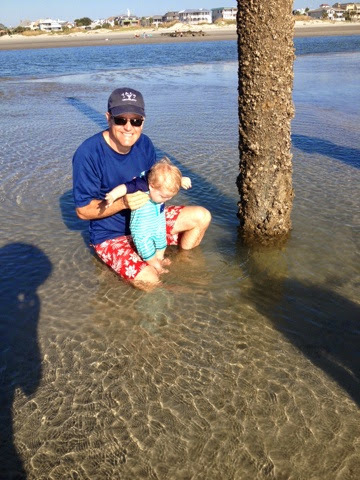 That post marks a large sand bar in the ocean. 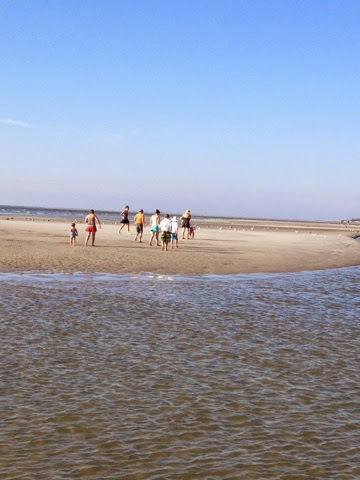 During low tide you can walk to it. That is the main land across the ocean standing on the sand bar. This is the post on the sandbar you saw way off in the distance. One day Addison is going to run on these sands with his big brothers and sisters. 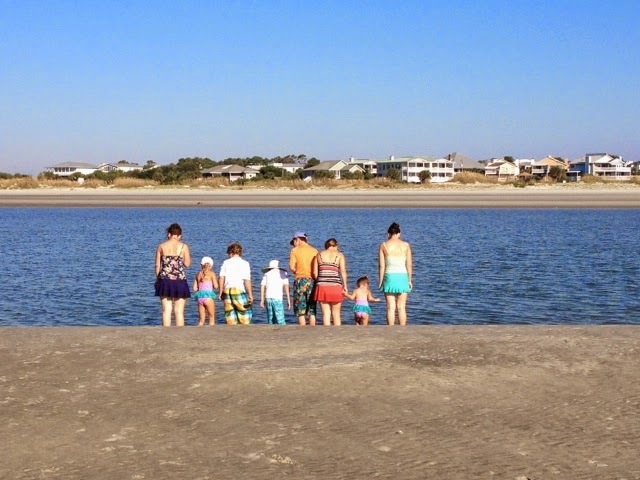 The youngers LOVE hunting critters on the sand bar at low tide. 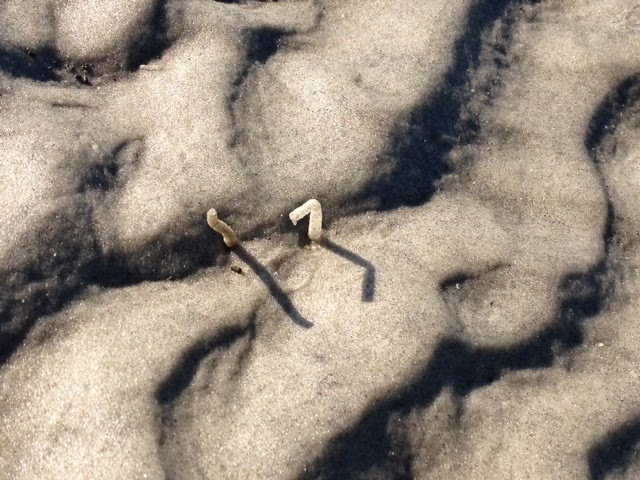 Not many people go there so there are lots of neat shells and unusual critters. Like these which-a-jiggers... Any guesses? And this creepy looking guy. 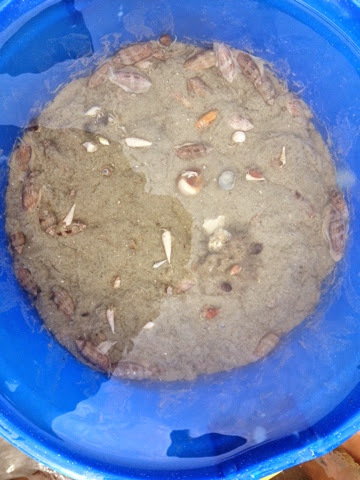 They filled a bucket with sand and sea water and lots of olives, sand dollars hermit crabs, a striped fish and a couple of blue crabs. 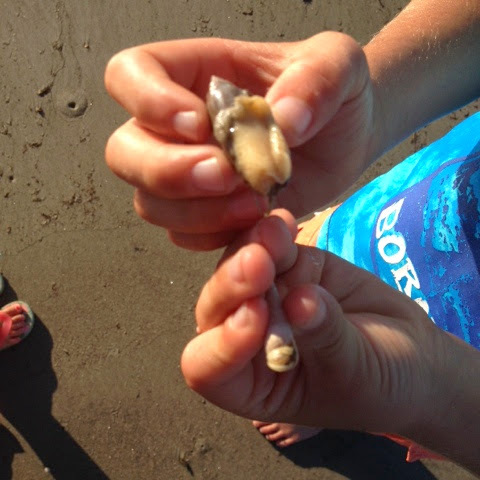 They were fun to observe before we tossed them back to the sea.